This year's Princes Risborough St. George's Sportive is now officially the biggest in the event's six year history. Less than 50 spaces remain at the time of writing, and with capacity pushed up to 800 for 2012, the Chilterns spring favourite is still growing in popularity. The combination of a properly demanding course and the Chilterns' scenery in full spring bloom is clearly proving a winner with riders! The event, based from the Princes Risborough School, first ran in 2007 and has adpoted the St George's name in 2012 for it's proximity to St. George's Day. 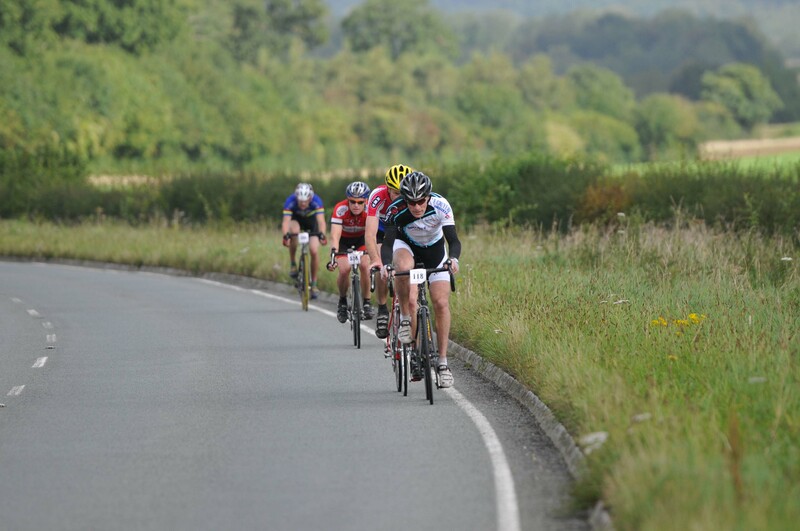 It was the second sportive that the Southern Sportive organisers ran, and was one the events that popularised the Chilterns as an sportive location. So if you haven't already, you book onto the event before it's too late. The organisers anticipate the event selling out in the next few days, and don't expect to be able to offer on the day entries for this event. You can book online at southernsportive.com.